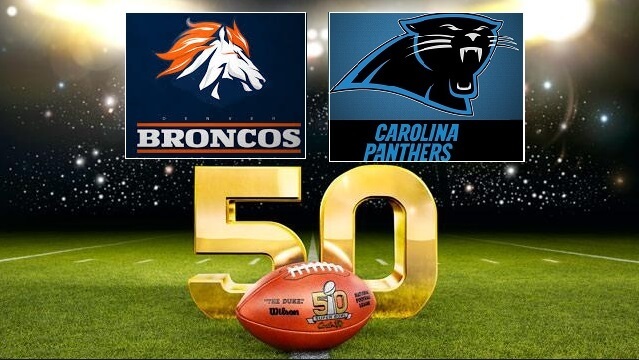 The two teams who will play in the historic 50th edition of Super Bowl 2016 has been confirmed and they are Denver Broncos and Carolina Panthers who won their respective conferences and will be fighting it out for the Lombardi Trophy in Santa Clara on Sunday, 07 February 2016. We know that CBS will broadcast the game live in the US on almost every platform available we take a deeper look into Super Bowl 2016 coverage worldwide. COVERAGE CBS’s super bowl coverage starts 2 hour before Superb Bowl starts, while most of the international channels will be using CBS feed but might have local presenters. Denvor made it to the Super Bowl after beating New England Patriots in a narrow 20-18 win while Panthers absolute steamrolled Arizona Cardinals in what was a very one sided affair resulting in a 49-15 victory. Denvor Broncos will be playing in record 8th Super Bowl while it will be the only second appearance by Carolina Panthers. TV Coverage around the World: We have covered in depth details about how and where to watch Super Bowl 2016 live online in your part of the world. There will be plenty of hotspots like “Hard Rock Cafe” in many european cities open for Super Bowl night. As far as the halftime show is concerned the major attraction is British band “Coldplay” who will be joined by their close friend Beyonce in the halftime show. There were rumours about Rihanna and Bruno Mars performing which will be confirmed before the event. The early odds are heavily favoring Carolina Panthers who stormed to a comfortable win in their playoff game against Arizona Cardinals. We will be covering every bit of details leading up to the 2016 final while we might have live streams and match highlights on 07th February 2016. So do check back for more details about the biggest american sporting event of the year.